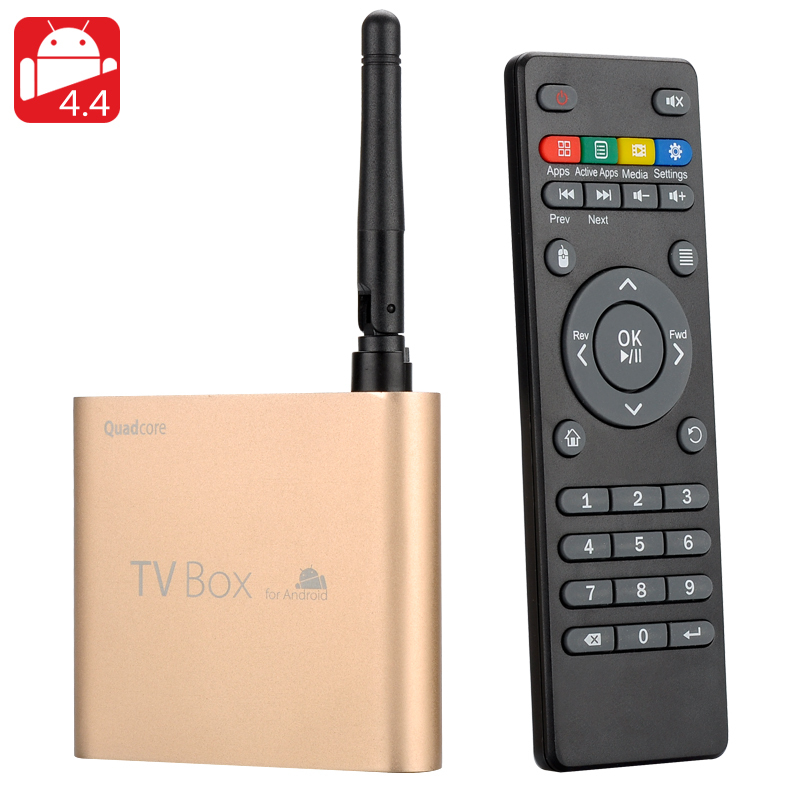 Successfully Added Mini Quad Core Android TV Box - Android 4.4, Quad Core CPU, 1GB RAM, Bluetooth 4.0, Wi-Fi, 2TB HDD Support, Miracast, DLNA to your Shopping Cart. With a brushed metal finish this mini Quad Core Android TV box is cool to look at and to touch. 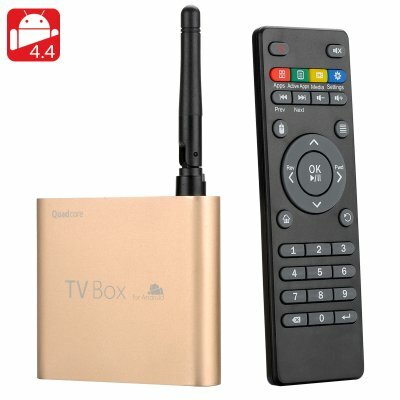 With curvaceous edges and compact design this attractive little TV box can sit in the palm of your hand and is the perfect size to slip into your pocket when you need a mini computer on the as its HDMI port can turn any TV or monitor into a powerful workstation. An Amlogic S805 Cortex A5 Quad Core SPU that runs at 1.5GHz and has a Mali 450 GPU brings a strong performance alongside the 1GB or RAM so no matter the task your well equipped for movies, games and multitasking. There are enough ports on this TV box for all your communication needs with a Ethernet connection, SD card and USB port it’s easy to connect to the internet, access stored data on memory pens or even read data from an external HDD as there is support for those as well. A built in Wi-Fi antenna makes wireless networking an ever ready assistant and the inclusive remote makes interactions easy even without a mouse or keyboard. When it comes to multimedia this mini TV Box is well equipped and supports all the major video, audio and photo formats so you can be sure of accessing all your favorite films. Android 4.4 is brings this TV Box to life and offers a sensational experience for interacting with apps, managing tasks and customizing every aspect of the setup. This 8GB of onboard memory, support for 32GB SD cards as well as support for HDD up to 2TB in size there is more than enough storage for you to downloads all your favorite apps from the overwhelming choice on available at the pre installed Google Play Store. Miracast, Airplay and DLNA allow you to share media from other portable devices so you can stream a move or play a game directly through your phone or tablet while viewing all the content on a big screen TV. A must have accessory for any traveler who wants to take the home comforts with them and have a great computer in their pocket. This product is in stock now, we offer a 12 month warranty on all our products. Brought to you by the leader in electronic devices as well as wholesale Android TV Boxes and Mini PCs, Chinavasion..